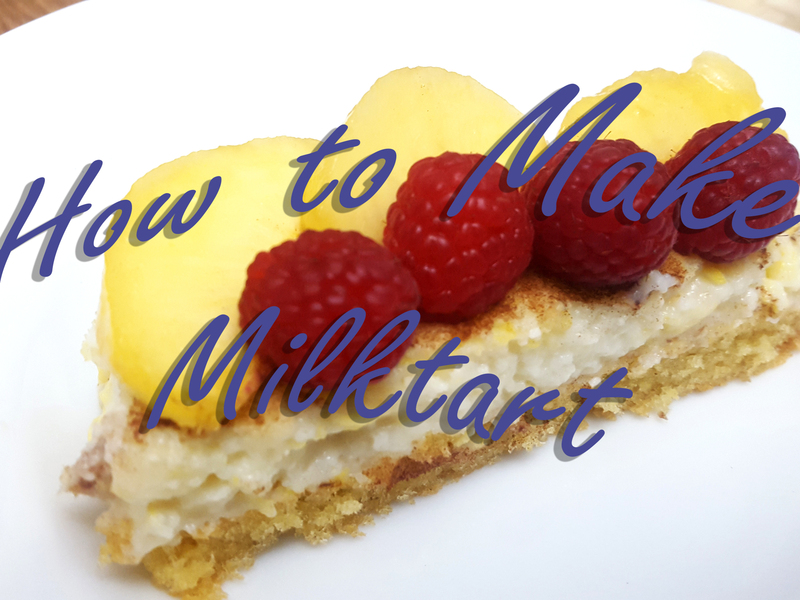 For Christmas we attempted to make one of Ayran’s favourite tarts from South Africa, the Milk Tart, or to the Dutch and Afrikaans, Melktert. A South African favourite, brought here by the Dutch. The recipe was then adapted by the Cape Malays, who added more spice and cut the workload by using ready-made puff pastry for the crust. In South Africa we normally refer to a pie as something that has a savoury filling e.g. Chicken and mushroom pie, and to a tart as something with a sweet filling. I believe, in North America, sweet fillings in a crust are normally called a pie, as in Pecan Pie, Cherry Pie, and the common but great Apple Pie. The concept of a savoury pie is more foreign in the US, and it is only available in speciality shops focusing on British or Australian Goods. I am not aware of any South African Pie producers in the UK or USA, but if you know, please send a comment that all of us can learn about them. For your information, the texture of a Milk Tart is similar to a Buttermilk Pie. So for all readers and followers that has always wanted to make a South African dish, or for the South Africans abroad, this one is with complements of Feed The Couple. 100 ml unsalted butter, softened. 200 ml sifted cake flour. 25 grams sifted cake flour. 100 grams white sugar . 250 grams unsalted butter, cut into smallish blocks. 2 tsp cinnamon sugar, for sprinkling. Beat butter and sugar together to combine. Mix 1 egg thoroughly into butter mixture before adding second egg. Add egg mixture and stir to form a paste. Spread crust mixture evenly over base and sides of two 23cm greased tart dishes. Whisk egg whites and vanilla, until stiff peaks form. Mix 150ml milk, cake flour, cornflour, salt and sugar together until smooth. Set aside. Bring remaining milk to just below boiling point. Remove from heat and stir in reserved cornflour mixture. Return to heat, stirring continuously, until mixture thickens. Add butter, a little at a time, mixing until well combined. Beat egg yolks lightly and mix into the custard. Gently fold in beaten egg whites. Pour into dishes.